Patsy's Bus Sales is proud to offer a wide array of products and services to keep you on the road! As part of The Patsy's Companies and the Profile Group of dealerships, we offer our customers endless access to parts and service. 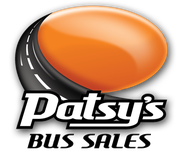 Click here to learn more about Patsy's Bus Sales and our network of dealerships. ROUSH CleanTech is dedicated to developing the most innovative and reliable alternative fuel powered products, while providing our customers the means of attaining a cleaner emissions profile, a positive return for their investment, and the very best ownership experience. By designing, engineering, manufacturing, and assembling quality alternative fuel systems for light- and medium-duty Ford trucks, vans and transit vehicles, ROUSH CleanTech offers a seamless operational experience while lowering your vehicle’s environmental impact and your fleet’s operating costs. 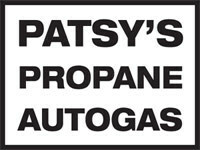 Patsy’s Bus Sales is one of the few locations in the country, authorized by both Roush and Ford, that can convert your transit vehicle to a propane autogas system. Goshen Coach is the industry leader for providing safe, reliable products to demanding fleet customers. Our attention to detail, award winning quality, and expertly engineered design ensures each Goshen Coach bus is built for the road ahead. Goshen Coach is unique in the industry for requiring each vehicle to pass a complete road test, environmental rain booth test, and receive the ‘white glove’ nineteen-page inspection. With more than 22,000 vehicles on the road in 24/7 operations, you will be confident that your Goshen Coach vehicle was built for dependability. Turtle Top – our corporate mission is to provide manufactured products at a level to reward our team members with above normal living means and provide long-term job security to our employees while maintaining our position as a world class manufacturer and supplier of transit/specialty vehicles and lightning protection materials as defined by our customers in the areas of quality, delivery, technology and cost. Our long-term objective is to instill in all our team members the belief that success, profit and job security can only be provided by satisfied customers. Our goal is to develop customer service as our No. 1 priority in the belief that if we satisfy our customers beyond their expectations; satisfied customers will provide success, profit and job security to everyone within our organization. National Van Builders, Inc. is the country’s leading manufacturer of wheelchair vans, multi-passenger vans, prisoner transport and specialty vehicles. National Van is a member of the Ford motor pool, which allows us to pass on chassis dealer pricing directly to our customers. National is a certified Active Participant in the Ford Truck Quality Program. Our production capabilities also include General Motors and Sprinter chassis. National Van Builders is a direct manufacturer’s representative for high quality buses, ambulances and accessible minivans. National Van maintains a large inventory of pre-built stock vehicles available for immediate delivery. National Van Builders’ commitment to quality is unsurpassed. Premium 2000+ is the original ‘No Hoops” Used Commercial Truck Warranty Company. They were the first company to allow dealers to inspect and qualify their own vehicles for warranty coverage. They are committed to providing a quality warranty product, with quality customer service to the quality dealer – and that’s us. Patsy’s Bus Sales will, in turn, pass this quality product on to you. For over 25 years New England Wheels has been setting the standard in the transportation industry. They offer an extensive line of raised roof wheelchair accessible vans, paratransit vehicles, multi-passenger shuttle vans, and executive limousine vans all based on the reliable Ford E-Series van chassis. Icom North America, founded in 2004, assembles and distributes the patented Icom JTG Liquid Injection Propane vehicle system and additional patented Icom Propane products-featuring the unique Icom Torodial Tank-for the North American market and selected markets worldwide. Icom with its partners brings over twenty-five years of experience as a world class manufacturer for the Propane Vehicle industry, with its innovative tanks, JTG II, JTGhp, JTG-D Systems and numerous products supplied to OEM’S and the aftermarkets worldwide. Icom North America is working closely with CleanFuel USA and OEM Partners to bring more engine platforms to the North American market. Patsy’s Inc, in conjunction with Patsy’s Bus Sales, is pleased to announce the opening of Patsy’s Propane Autogas fueling station located at 112 Hall Street in Concord, NH. The station is open to the public 24 hours/day.